Hands & Voices Contact: handsandvoices_vt@yahoo.com. "Hands & Voices is a non-profit, parent-driven organization dedicated to supporting families of children who are deaf or hard of hearing. We are non-biased about communication methodologies ." Early Hearing Detection and Intervention Program, Vermont Dept. of Health, Agency of Human Services. "As part of the Department of Health's Office for Children with Special Health Needs, VTEHDI provides support, training, and case management for families and their babies, hospitals, and community providers. VTEHDI works with state and national agencies and organizations to achieve the National EHDI goals. " Nine East Network consultants contracted by State of Vermont. "Nine East Network is dedicated to serving Vermont’s children, schools and agencies. Our team of experienced professionals offer direct services, education, training, and consultation in all regions of Vermont.."
Success for Children with Hearing Loss "﻿This is a ‘go-to’ site for professionals and family members seeking more information about the learning and social issues of children with hearing loss* and what you can do to better support the future success of these children. Audiology Educational Consultant Free,to Vermont children who are a patient at Dartmouth Hitchcock 's Children's Hospital, NH. 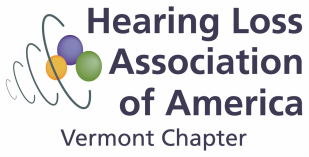 Vermont Speech Language Hearing Association "Vermont’s professional resource for Speech Language Pathologists, Audiologists, and those working to support speech, language, and hearing."